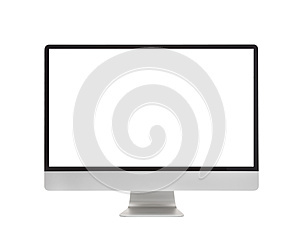 Photo title: Computer Monitor, like mac with blank screen. Computer Monitor, like mac with blank screen. Isolated on white background.